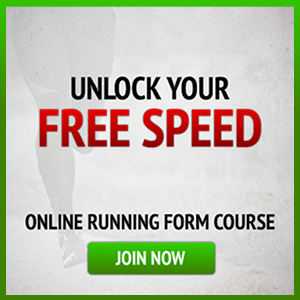 Full Disclosure: I am the kind of person that prefers to run races on my own. When I train, I put my headphones in and aside from a wave or two to passing runners or bikers, don’t interact much with anyone. When I’ve run races like Spartan Race , Savage Race, Battlefrog, and other OCR events, I prefer to put my head down and focus on my own race. Tough Mudder is an event that forces you to work with others, at least on some of the obstacles. 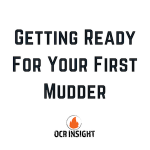 There are Tough Mudder obstacles like Human Pyramid, where you have to get up an inclined wall in which the base is in a mud pit; you can’t get a running start! So, you have to work with others at that obstacle to push and lift them to the top. Then, hopefully you can find some people to help you do the same. 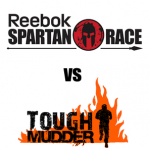 Tough Mudder is not a race, but a challenge (which is something they stress before you start). 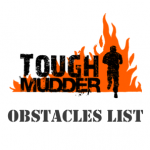 The obstacles are actually a ton of fun, challenging enough for a wide range of people, and I actually found myself having a lot of fun when I “competed” for the first time. The one thing to know going in is that Tough Mudder’s are long… 12 miles long to be exact. There are “Half Mudders” for those who want to warm up to the big race, but even those are six miles. You will get wet. You will get muddy. And these challenges really take it out of you if you don’t pace yourself. 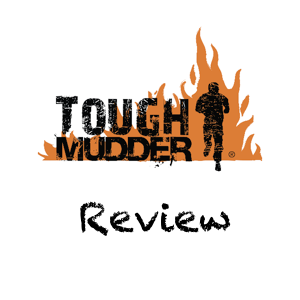 With all that said, I really enjoyed the entire Tough Mudder experience, and I found myself excited to help people through some of the tough team-oriented obstacles. As someone who usually tries to run “my best race,” I was able to enjoy Tough Mudder for what it truly is at the core, which is a social event. Berlin Walls – two 10-foot walls where people used backs, shoulders, and hands to get over. I even saw a human step ladder made up of one guy on all fours, and another guy standing at the base of the wall letting people use his shoulders as stairs. King of the Swingers – probably the highlight for me because I love rings. Visually intimidating, but SO much fun. Balls to the Wall – Visually intimidating, but easier once you tell yourself you can do it, this 15 foot wall includes a rope climb up and down the other side. I think mentally getting over this one is a big ego-boost for sure! “Should I sign up for a Tough Mudder?” Yes — you should! 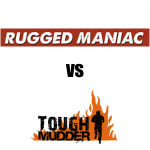 While the race is difficult because the obstacles are more difficult in Tough Mudder vs Warrior Dash, or some local 5K mud runs, the experience is unlike any other race I’ve ever done. Make sure you build your endurance, but you’ll be surprised how motivating it is to see people out there running and walking this course, in all sorts of costumes and crazy outfits. This race might not be for those who only want to see their name on top of a leaderboard, but for the 99 percent of us who want to do something challenging and fun, it’s a great event that will give you plenty of awesome memories (and pictures!) you’ll never forget. It’s especially fun if you can find a few crazy friends to run Tough Mudder with you.